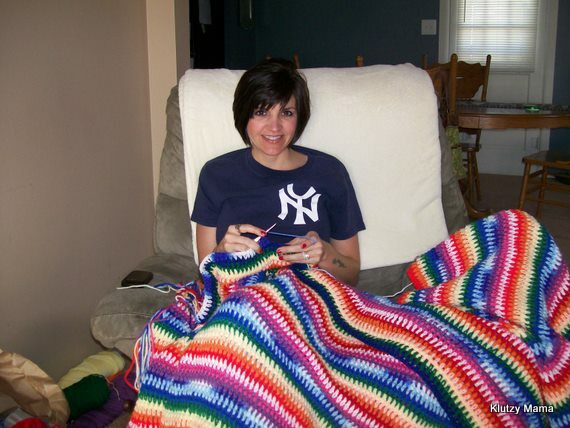 Rainbow Afghan Is Almost Finished! I don’t know if I’m gonna make the first soccer game deadline that I set for myself, but I’m really really close! And you know how I feel about rainbows. Thanks, girls! It is really warm too, so it’s gonna be perfect for those cold soccer mornings.